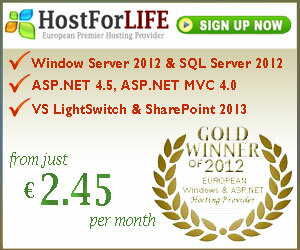 ASP.NET MVC 4 Hosting - HostForLIFE.eu :: How to Create ASP.NET MVC 4 Web Registration? 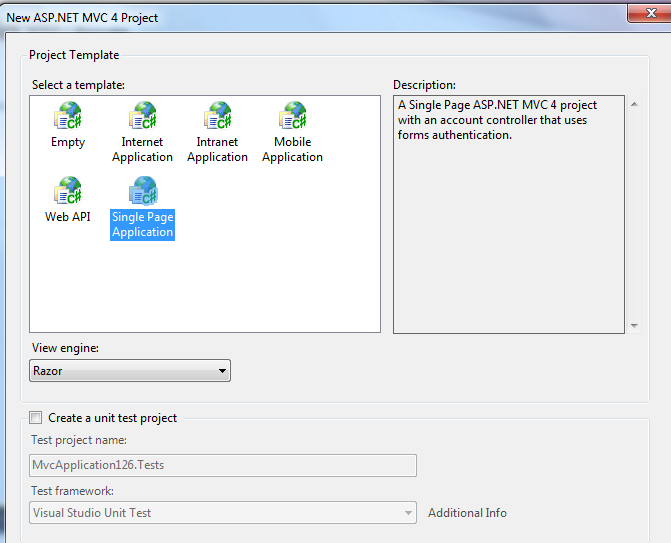 In this tutorial, I will explain how to develop web applications using C# ASP.NET MVC 4. 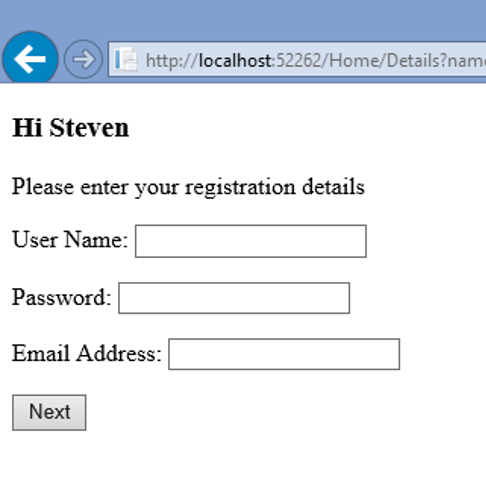 You’ll create an ASP.NET MVC 4 web application that allows the user to register their details. Page 1 will ask the user to enter their name. The page will have a “Next” button that shows page 2. Page 2 will ask the user for their details: username, password and email address. Page 3 will confirm the user’s details. The page will have a hyperlink to return to page 1. 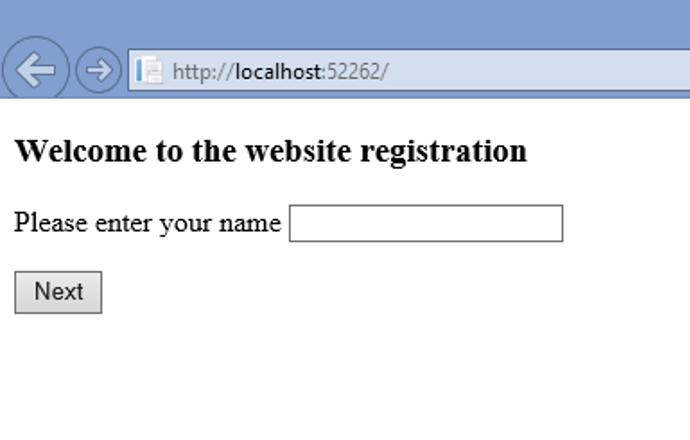 Create an empty ASP.NET MVC 4 web application named Registration using C#. Implement the first page, make sure to choose Empty Project and use the ASPX engine. Add a controller class named HomeController to the Controllers folder. To do this right-click and select Add>Controller from the context menu. Add a standard action method named Index() that returns the default view to this controller.In an MVC application all of the browser’s HTTP requests are handled first by a Controller class. This class contains action methods that the requests are directed to. The specific controller and method that is invoked will depend on the request’s URL. Add an ASPX view for the Index() action method. To do this right-click in the Index() method and select Add View from the context menu, make sure to deselect “use a layout or masterpage” and use the ASPX Engine. This will cause a web page named Index.aspx to be added in the Views/Home folder.In an MVC application a view holds only the visual content of the web page. Open Index.aspx in the Views\Home folder. Add a tag, to start a form in Index.aspx. Within the form, include the Html.TextBox() HTML helper function to display a text box named username. HTML helper functions make it easier to add HTML tags to a view by employing intellisense. Add a submit button inside the form. Use plain old HTML to do this. The submit button will post back the form back to the same action and the same controller. Use a %}%> tag to mark the end of the form. Now run the application. When the page is shown, just enter your name and click the button. This submits the form back to the server, and causes MVC to call your Index() action method. Unfortunately Index() only redisplays page without your name. To solve this problem, you now need to handle the HTTP POST request so the user is redirected to the next page. This method also requires a string parameter called username, which MVC automatically populates from the textbox on the page. Now edit your new Index() method by including this statement. This attempts to redirect the next page and it also passes the name parameter to that page. Run the application. Even though you will get a 404 Page Not Found error, this is not a problem at this stage. The error will disappear when you create the Details() action method and the Details.aspx view on the next lab. Add a model class to hold the user details. Add a view to allow the user to enter their details. 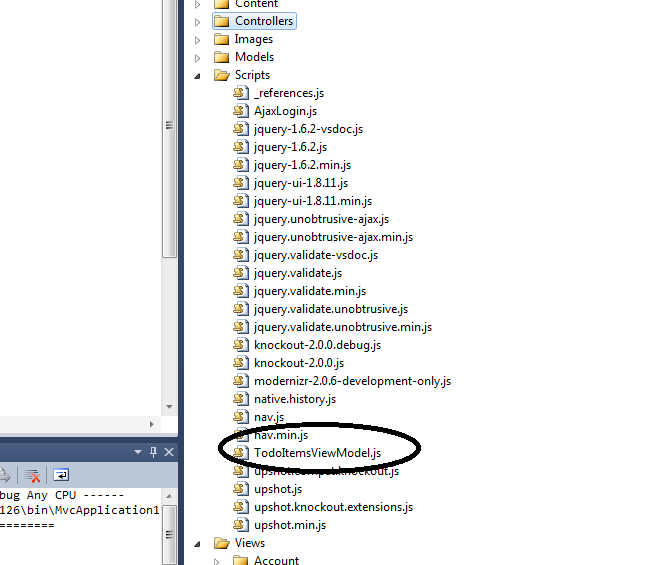 In the Models folder, create a class named UserDetails. To do this right-click and select Add>Class from the context menu.In an MVC application a Model class contains all the business, validation and data access code. Since the Model classes are clearly separate from the application’s Controllers and Views, they can be implemented, tested & maintained independently. Add properties of type string for name, username, password and email address. In the controller class, add an action method named Details(). 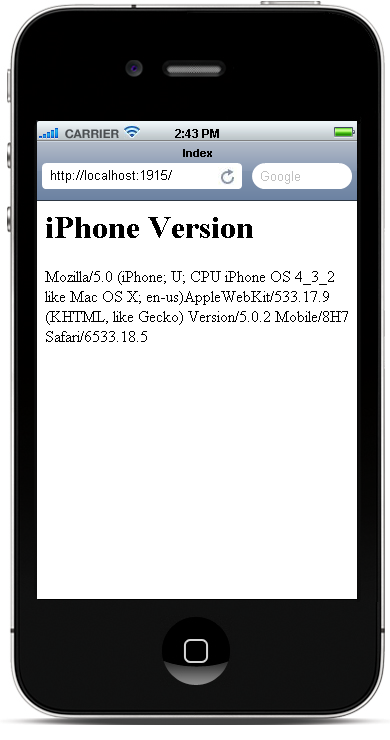 This handles HTTP GET requests to display the Details view. Include a string parameter to hold the name in the Details() method. The parameter will be passed in from the first page. Inside the method, create a new UserDetails object and set its Name property to the incoming name parameter. This passes an UserDetails object as the model parameter to the view. Add an ASPX view for the Details() action method. Make the view a strongly-typed view, based on the UserDetails class. This will add a Web page named Details.aspx to the Views/Home folder. Implement Details.aspx to display the name entered on the first page in a heading. In Details.aspx also display a form containing text boxes. 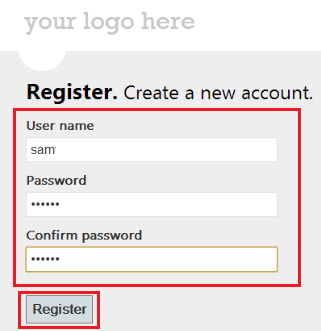 These allow the user to enter their details. Use Html.TextBoxFor() for each text box. At the bottom of Details.aspx add a submit button. Back in the controller class, implement another action method named Details() to handle HTTP POST requests. The method takes a UserDetails parameter. MVC will populate this object automatically with the data entered in each text box. Return a view specifying “Confirmation” as the view name. Pass the UserDetails object as the model parameter to the view. The view does not yet exist. Run the application. In the first page, enter your name and click the submit button. 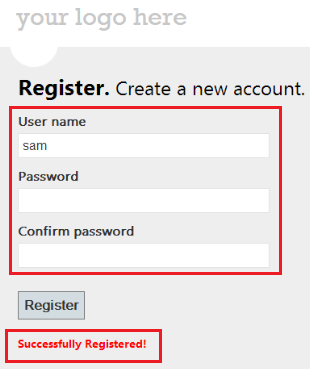 Verify that the “user details” page now appears, displaying your name and a series of text boxes. Enter some details and then click the submit button. At this stage you will receive an ASP.NET error indicating the “Confirmation” view cannot be found. You will create this in the next lab. Add a view to confirm the user has entered their details. For the HTTP-POST version of the Details() action method, then add an ASPX view named Confirmation that is strongly bound to the UserDetails class. Make the view a strongly-typed view, based on the UserDetails class. Implement Confirmation.aspx so that it shows the user information. Add a hyperlink at the bottom of the page to return the user to the first page. Use the Html.ActionLink() helper function. Run the application. Is it now working fully? Add validation checks when user details are entered. Include validation in the model class. Add attributes to the properties that define the checks. Use attributes in the System.ComponentModel.DataAnnotations namespace, such as [Required], [StringLength], and [Range]. 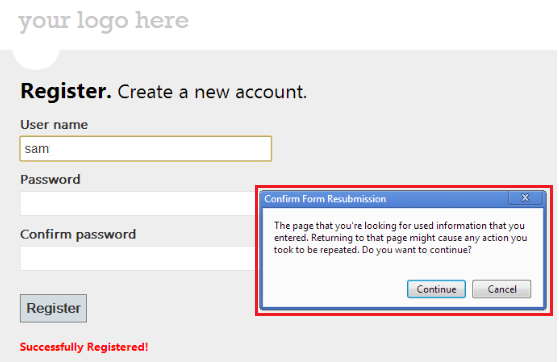 In the Details page, do not proceed if there are any validation errors. Enable client-side validation In the Details page. ASP.NET MVC 4 Hosting - HostForLIFE.eu :: How to Use KnockoutJS in ASP.NET MVC 4? The layout page looks like this. You can see I’ve included references for SignalR, jQuery, Knockout and Knockout Mapping (I’ll explain what this is and how to use it later). You’ll also see a reference to signalr/hubs. 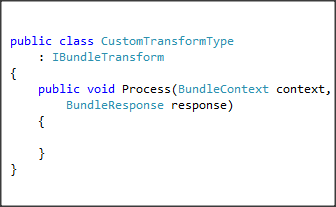 This gets generated on the fly by SignalR to manage the client connection, but you still need to create a reference to it. It’s just a basic table with some bindings for Knockout. Knockout supports several types of bindings and other functions; if you haven’t already run through the live examples it’s worth doing. Above I’m using the for foreach binding to iterate though a collection on the model called currencies. Bindings can be applied to a HTML element, for example to the tbody element to make each item create a table row. In my example I only want one row and I’m manually adding the text USD to the first column, so I’m using the containerless syntax using comment tags. For each item in my collection it will render a TD tag and bind the price property of the object as the text. Methods in the hub are available to the client. As I mentioned earlier I will later get the currencies for the initial load from the currency service, so that is what this GetCurrencies method is for. You do not need to add methods to your hub to call functions on the client. My action method is looping through each currency object in the model’s collection and calling updateCurrency for each. Not the most efficient way to do it in the real world, but I’m trying to keep this example simple. And that’s all there is to it. My server side code calls hub.client.updateCurrency which calls the method of the same name in the model. That method finds the correct currency and updates the price. As price is observable Knockout then automatically updates the UI. Due to this there are a couple of other changes required. One line 6 this.currencies becomes this.currencies(). Any observable object requires parenthesis to access as it’s converted to a method. Similarly on line 7 this.code becomes this.code() for the same reason. Previously I didn’t make code observable, so I didn’t need parenthesis, but as this time I used the mapping plugin it’s now observable. ASP.NET MVC 4 Hosting - HostForLIFE.eu :: How to Make ASP.NET MVC 4 Web Application? 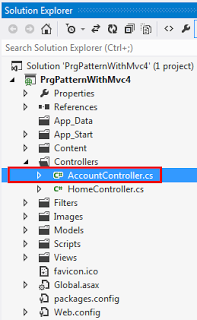 In this tutorial I will show you how to make ASP.NET MVC 4 Web Application for beginners. But before we start, we need an application which enables user to create/update/read/delete (CRUD) the data connected with cars. Let’s create a new project. 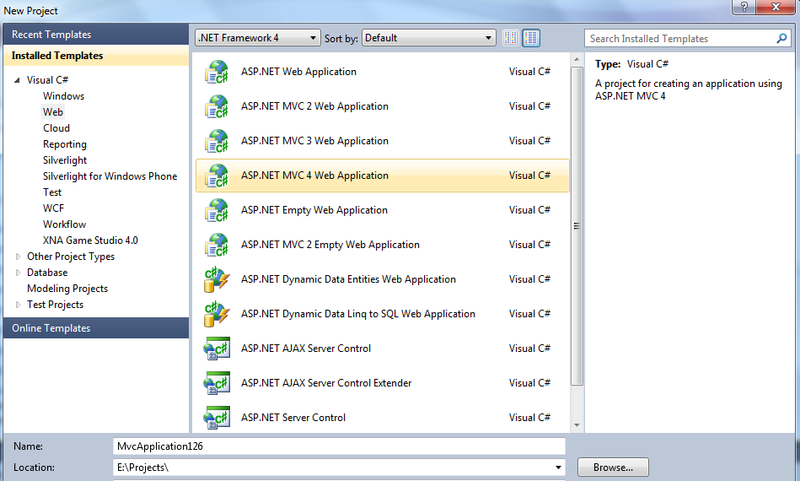 File/New/Project -> select Web/ASP.NET MVC 4 Web Application. When new window appears, please select a template as Internet Application and the vie engine as Razor. For this example, please do not select Create a unit test project. This class represents a Car. Car is an object which will be stored in a Cars table in a database. It means, that one car = one row in a db. Name of connection string should be the same in CarContext class ( : base(“Cars”) ). Please hit F5 to Debug. When new tab appears please insert http://localhost:yourport/car/ and enter. This will open the view folder named Car, where all razor files for CRUD methods are stored. After that you should see your web application. The next step is to click Create New. The new View will appear (Create.cshtml). Just add a new car with its brand and model name. After that you will see the list of all cars that have been already added. You can edit this, delete or show the details. ASP.NET MVC 4 Hosting - HostForLIFE.eu :: How to Use Google Calendar API? 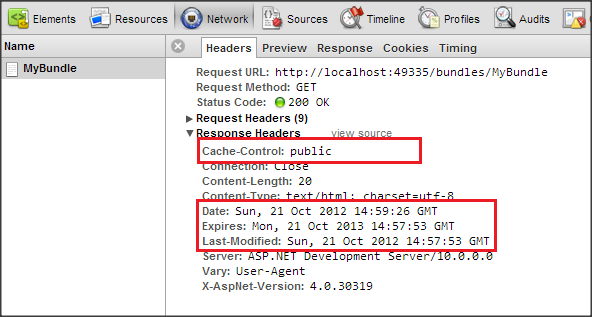 In this article I will show you how to use Google Calendar in ASP.NET MVC 4. Google APIs use the OAuth 2.0 protocol for authentication and authorization. Google supports common OAuth 2.0 scenarios such as those for web server, installed, and client-side applications.It's more easily to log in your application via OAuth and OpenID provider in ASP.NET MVC 4 now. Microsoft has few build-in client for Microsoft, Twitter, Facebook, Google. The Google client is based on OpenID and not OAuth. That's mean you can not access Google Data API. In order to access Google Data API for web application. You need to register a Client ID to get Client ID an Client Secret for setting in your application. You need to assign redirect URIs for grap OAuth access token callback also. 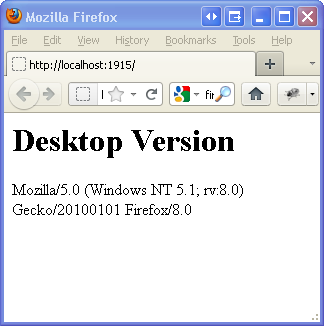 Here we setup Rirect URIs as http://localhost:57271/Account/ExternalLoginCallback. The Google APIs Client Library for .NET is generic .NET runtime client for Google Services. The library supports OAuth2.0 authentication, and is able to generate strongly typed client libraries for Discovery-based services. Google Client library is a higher level library for using Google Data API. You can download beta version from Nuget in visual studio. It's more difficult to handle Google Client Library for .NET with few documents and sample now. Here, just using Google.Apis.Calendar.v3.Data namespace to our strong type class for data binding in deserialize object from API response. Above is methods how we are accessing Google Calendar v3 API via webrequest. Now, we are be able to access Google Calendar API via OAuth. Nest step, we will create a simple CRUD UI by AngularJS.